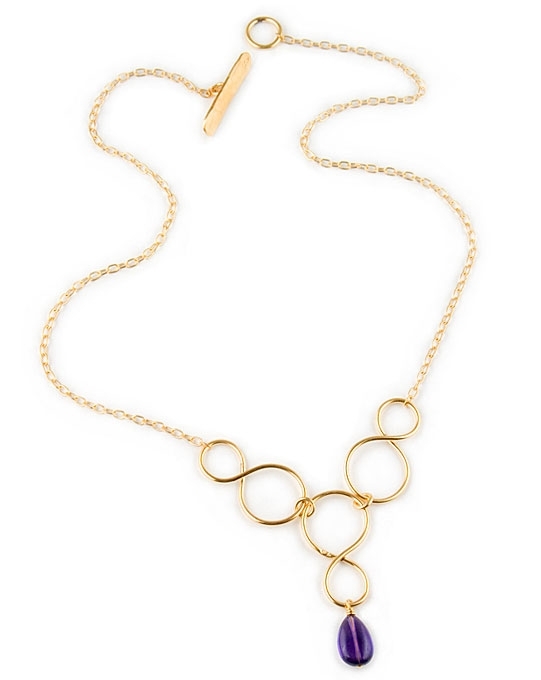 24k gold vermeil necklace from the "Talisman" collection by Eloise Fiorentino. 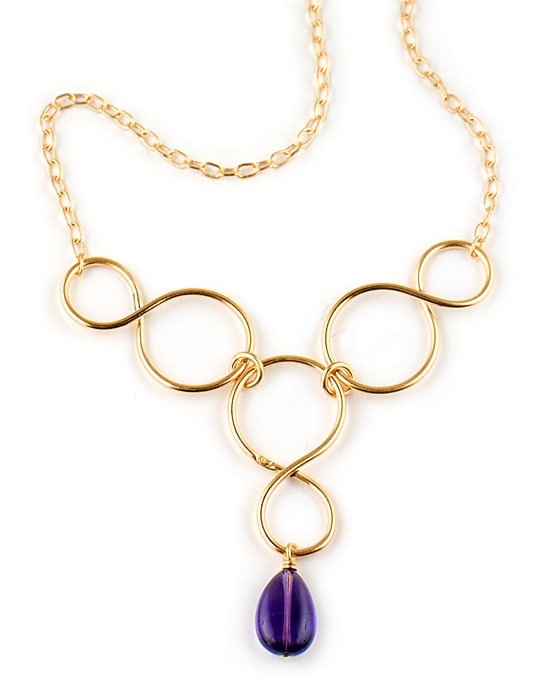 This chic and elegant necklace features a graphic pendant with a 12x8mm dangling amethyst semi-precious stone, suspended from gold chains. Necklace measures 46cm (18.1") and comes with the signature hand-hammer clasp. An elegant and modern piece of designer jewellery, easy to wear all day. Also make a wonderful gift. Exclusively in the UK from the Farfallina.net Jewellery Boutique.